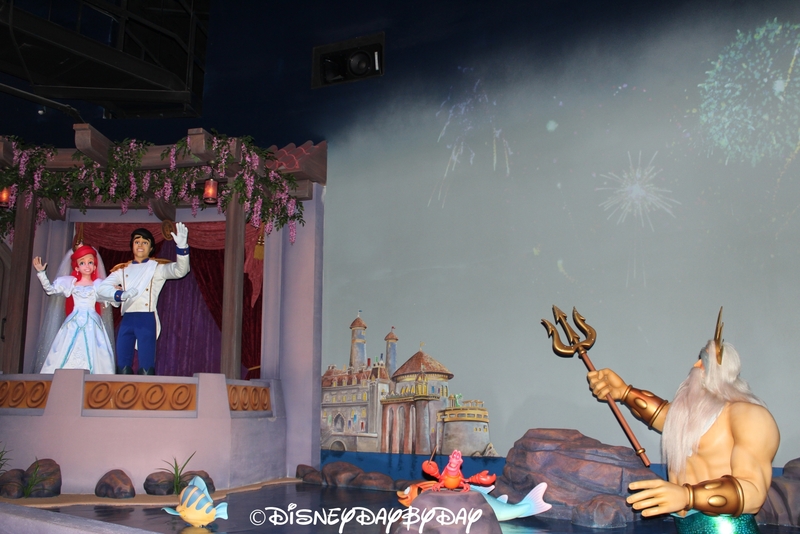 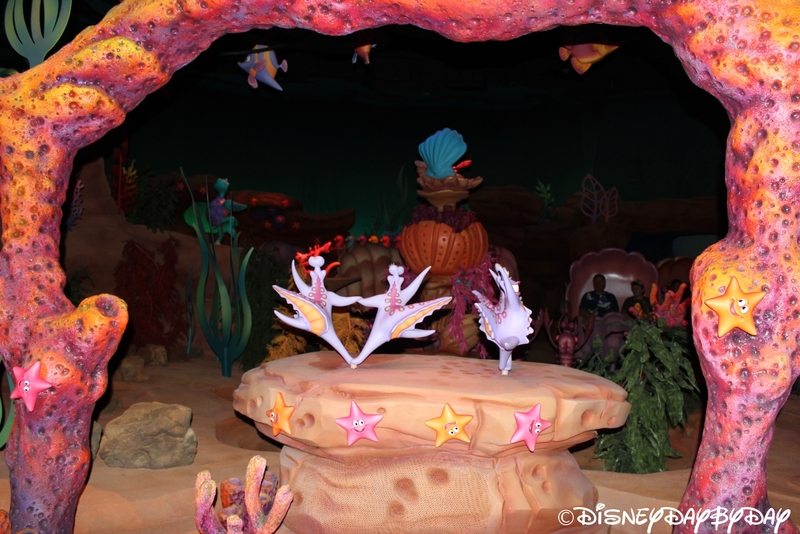 Let’s go under the sea with the Little Mermaid! 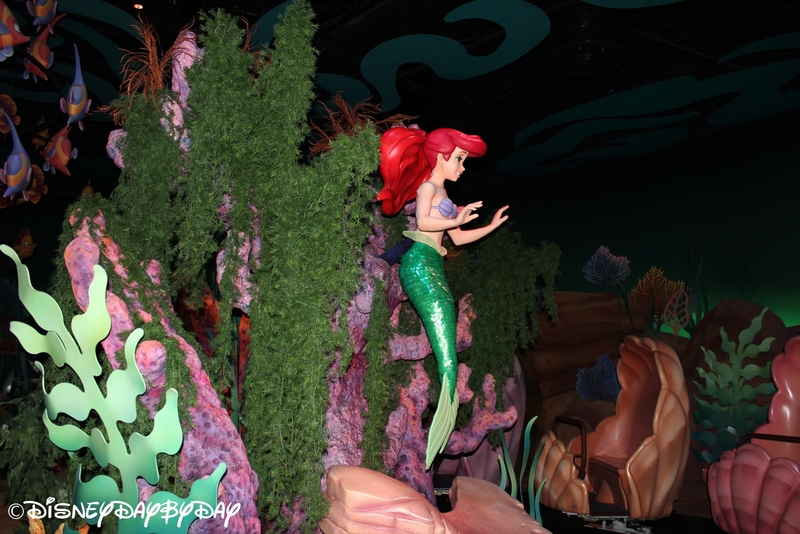 Welcome to Under the Sea Journey of the Little Mermaid. 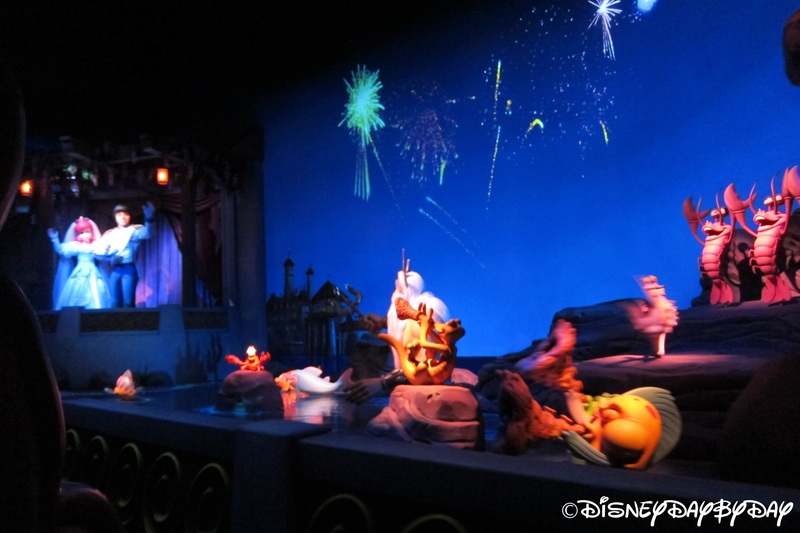 This charming ride is a cross between Winnie the Pooh and It’s a Small World, in which you have a continuous moving ride system with animated characters moving to a song that will still be running through your head for days to come. 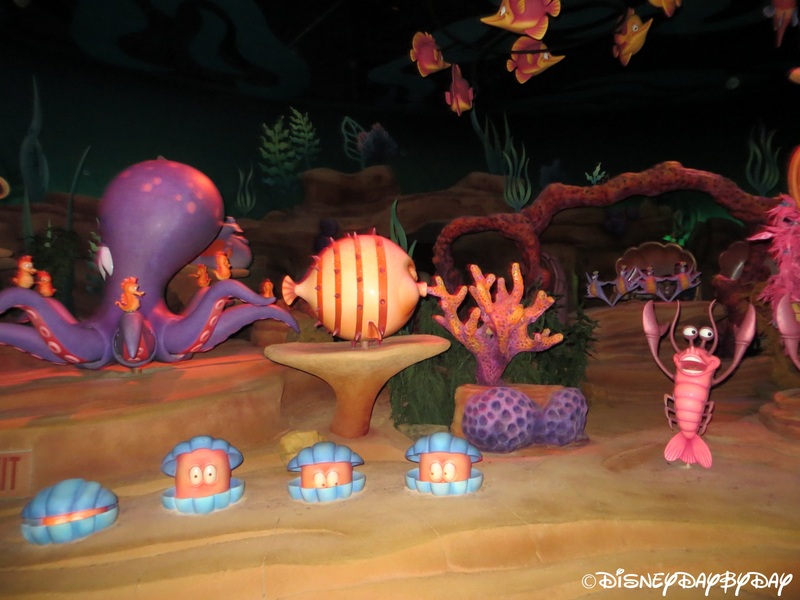 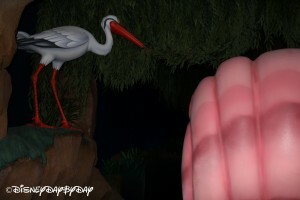 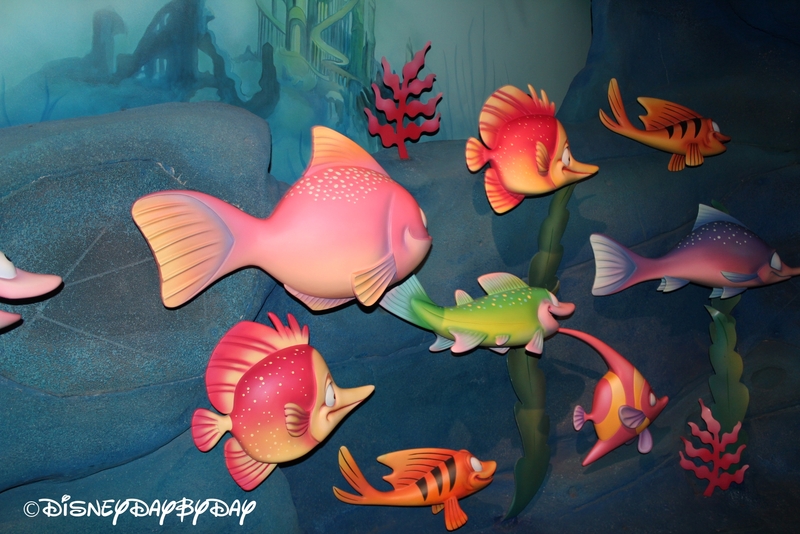 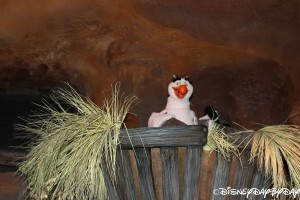 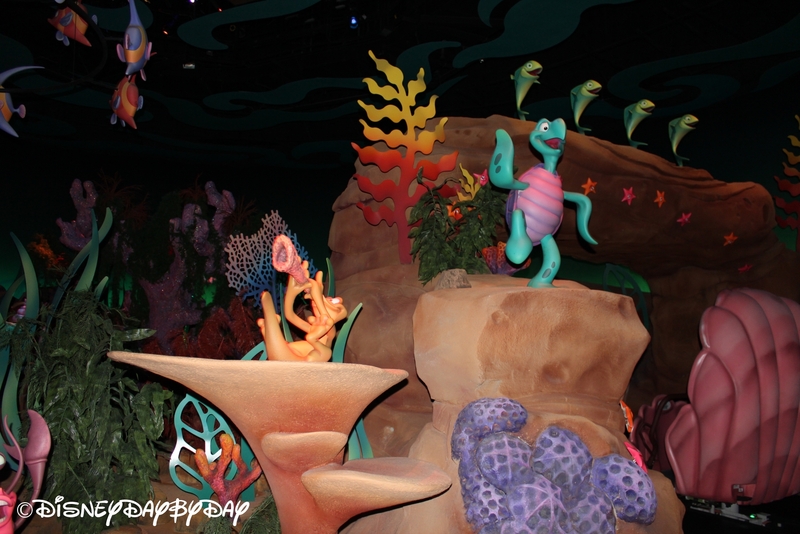 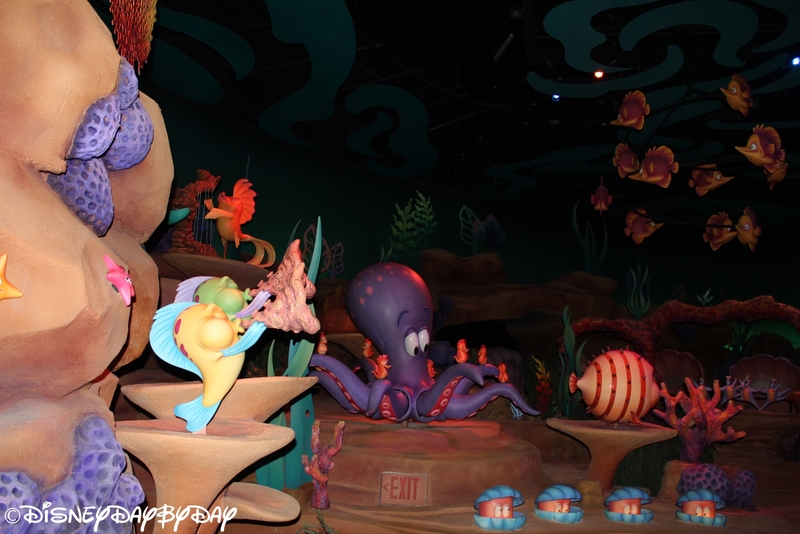 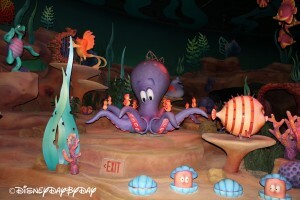 After the video screens were introduced on the Finding Nemo ride at Epcot, I was a bit concerned that Disney was moving to more “virtual” type rides. 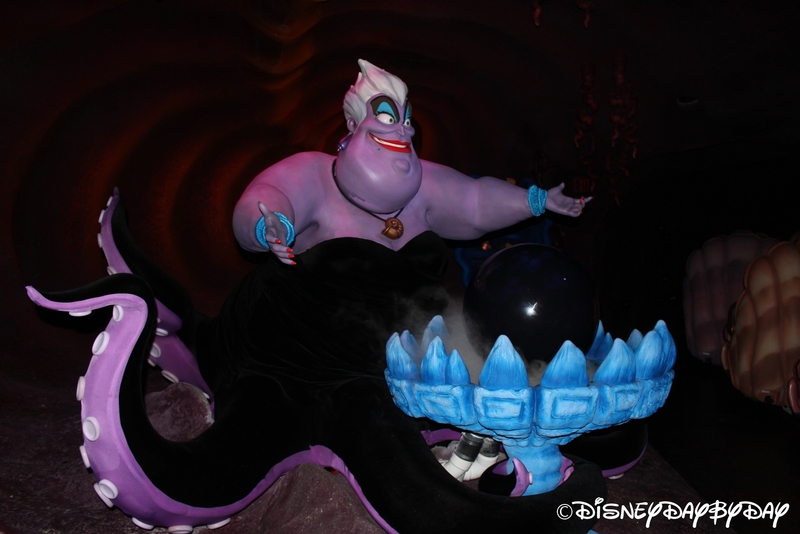 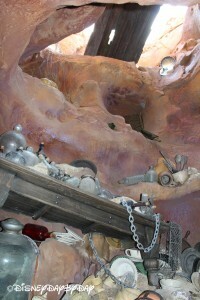 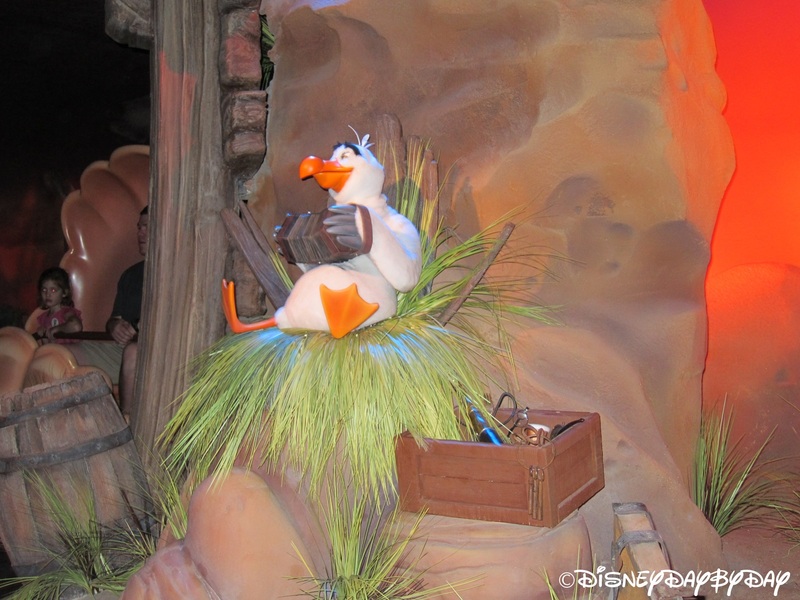 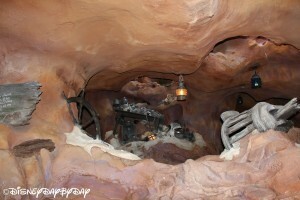 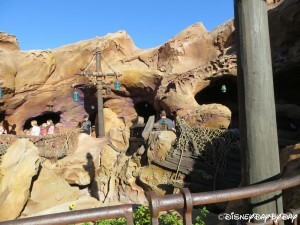 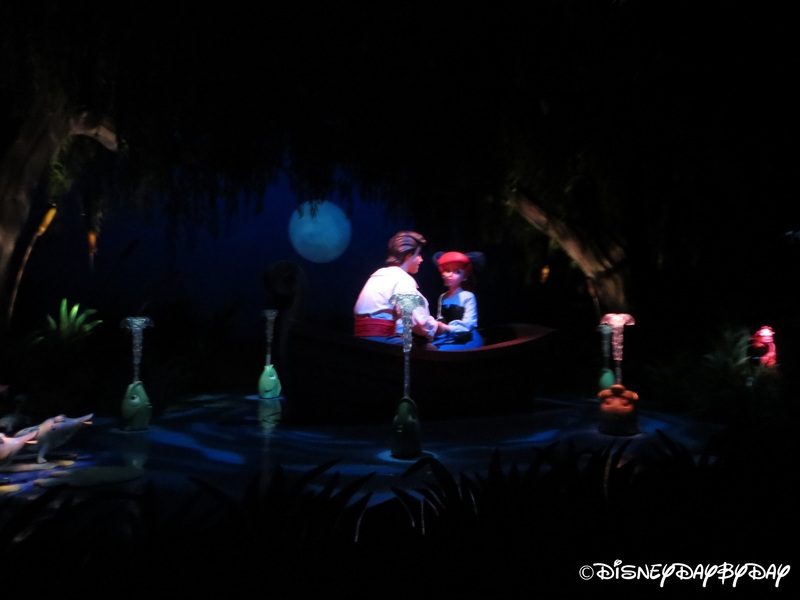 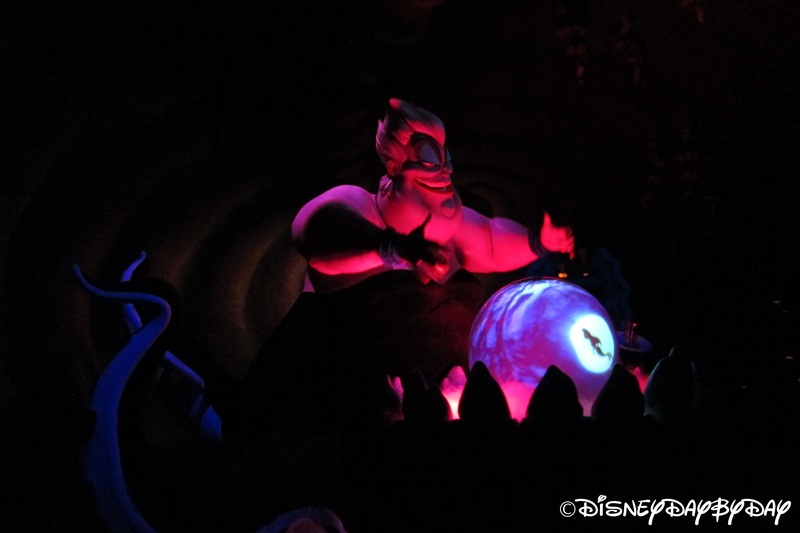 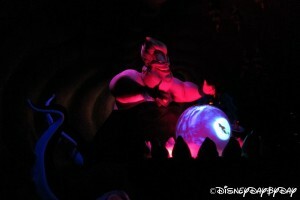 I was greatly relieved when Little Mermaid opened and I found a more traditional ride. 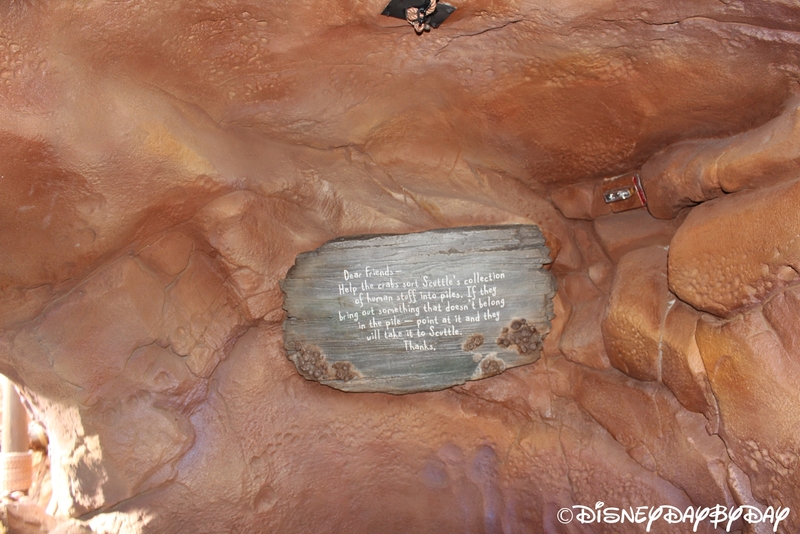 One note of caution, the clamshell does tilt forward and backward so ensure that everything in your pocket is secure. 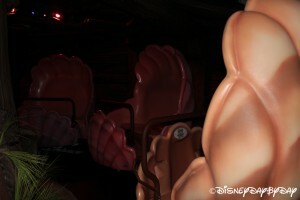 My brother had a camera fall out of the clamshell which required them to close the ride for a short while until it was recovered. 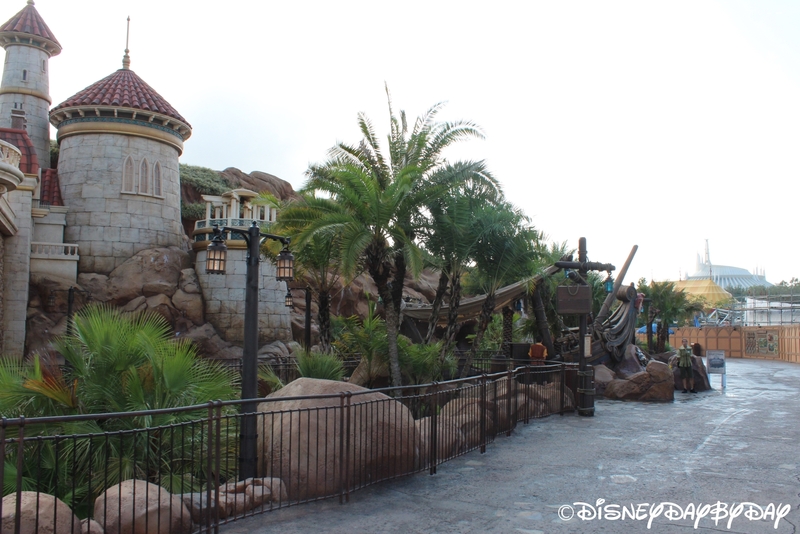 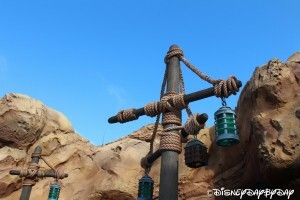 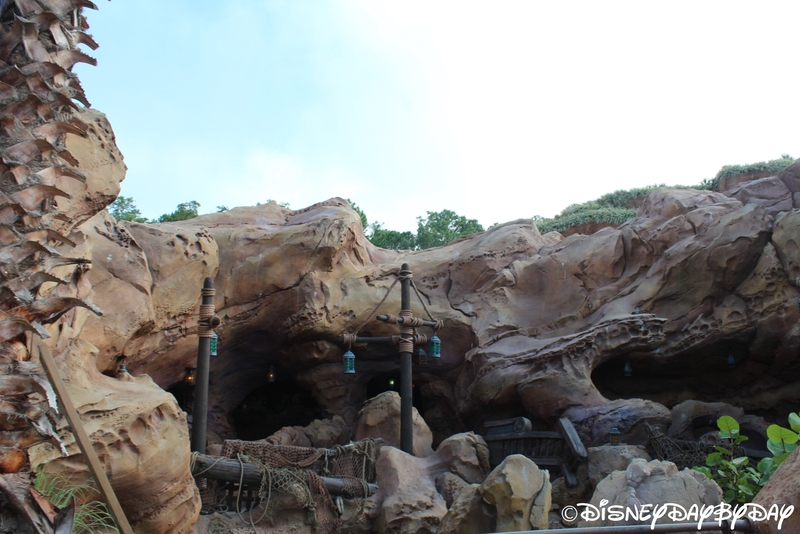 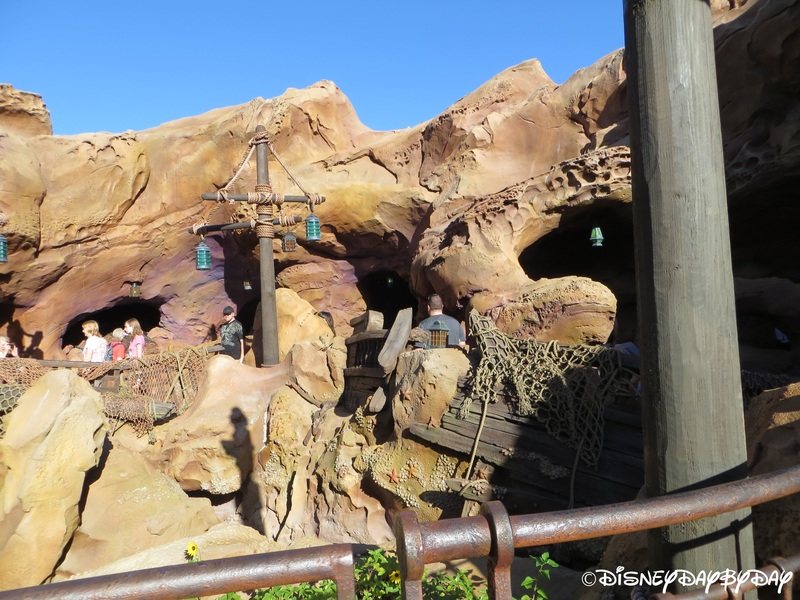 Although the continuous ride means the line will go a little faster than others (Peter Pan, I’m talking to you), it is new and therefore Disney Day By Day recommends visitors ride this first thing in the morning or late in the evening. 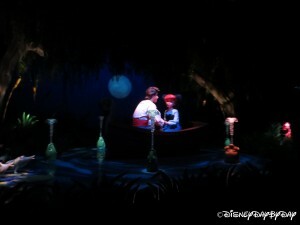 A classic ride for a classic Disney Movie. 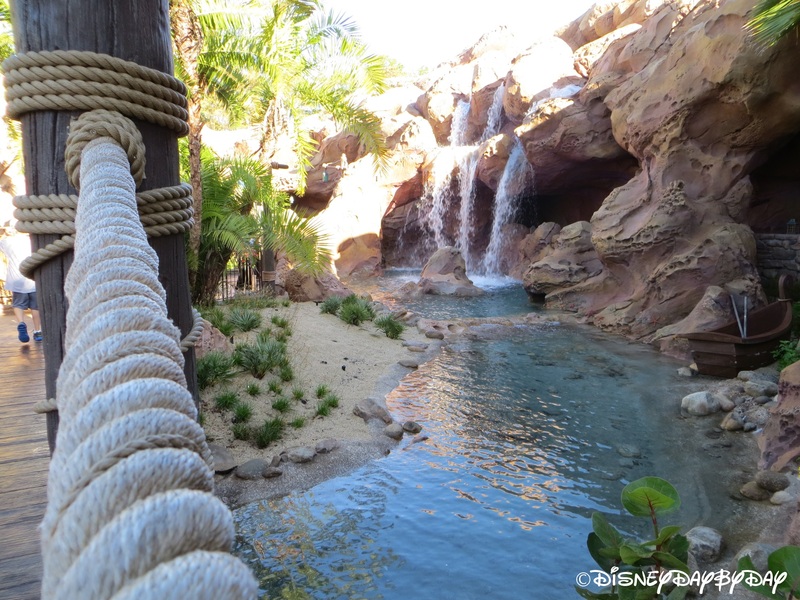 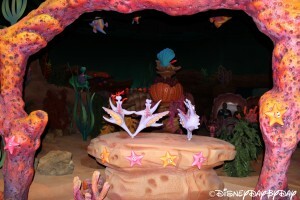 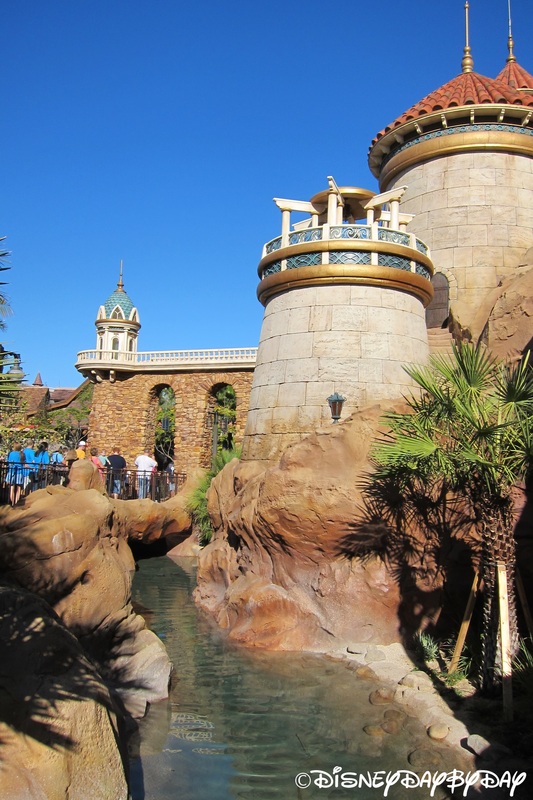 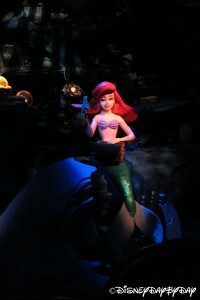 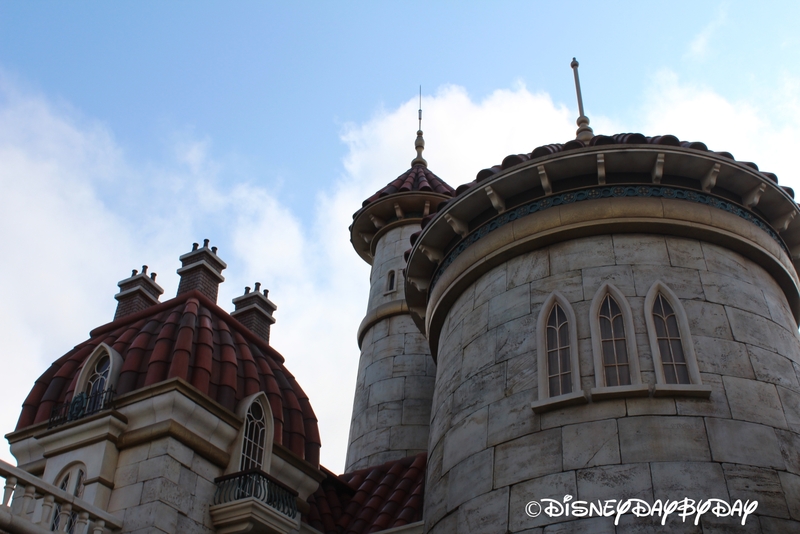 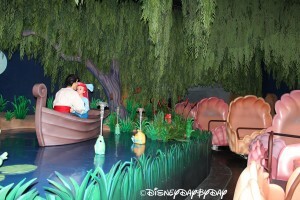 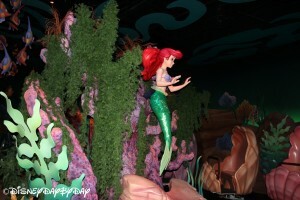 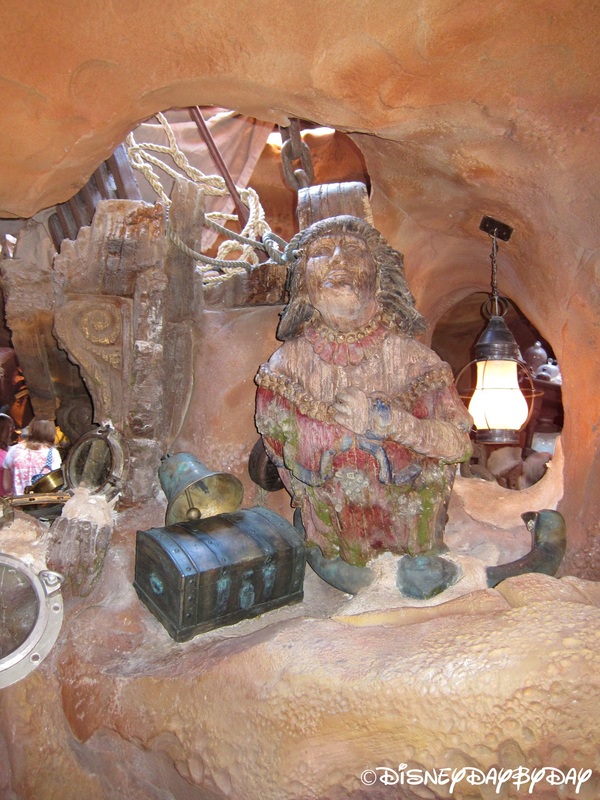 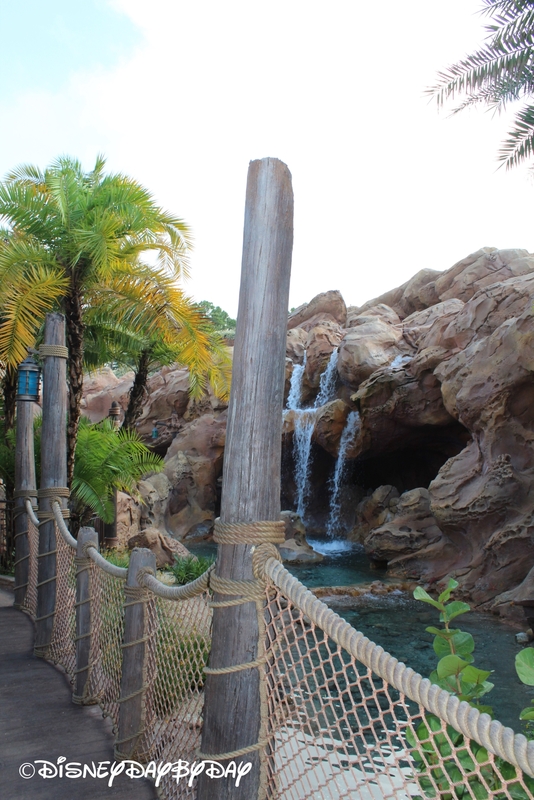 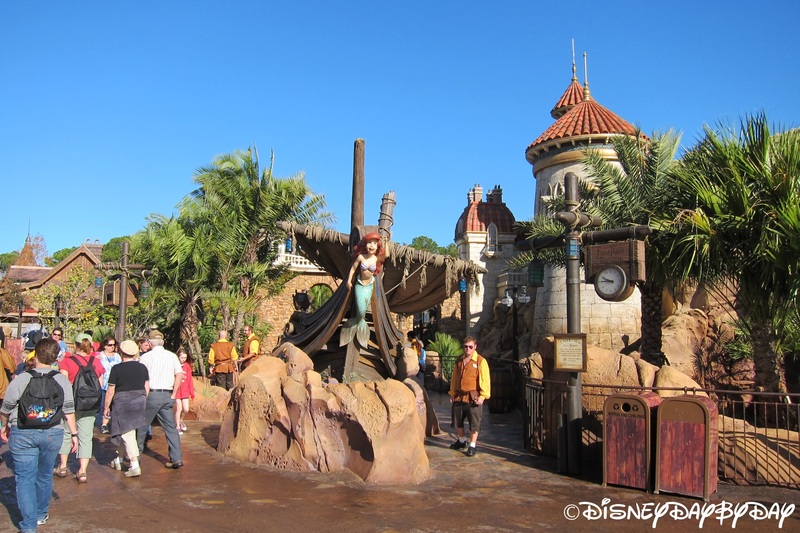 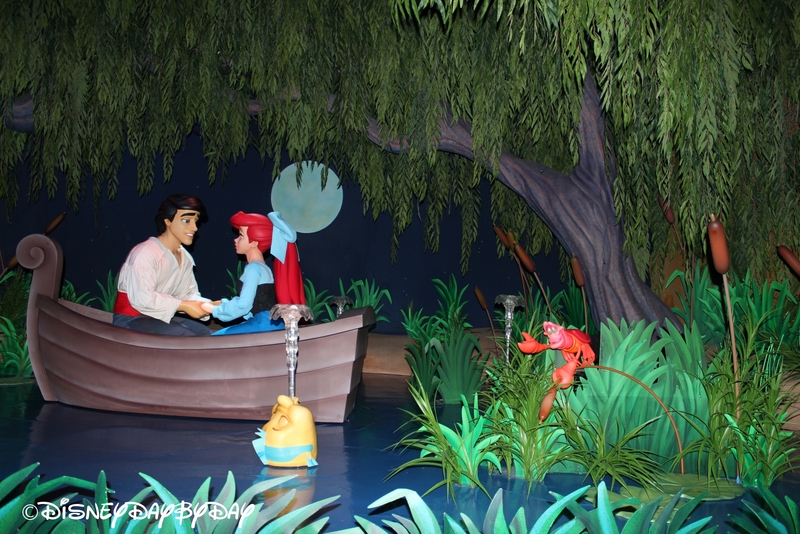 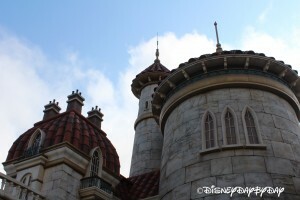 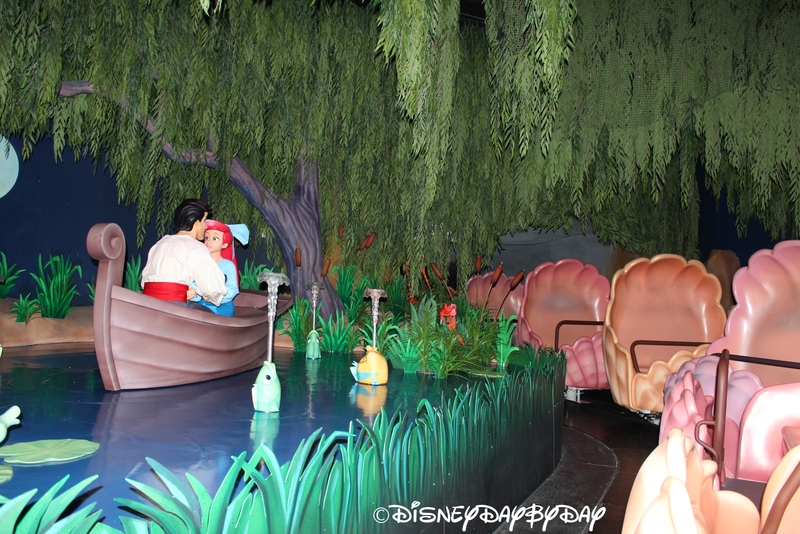 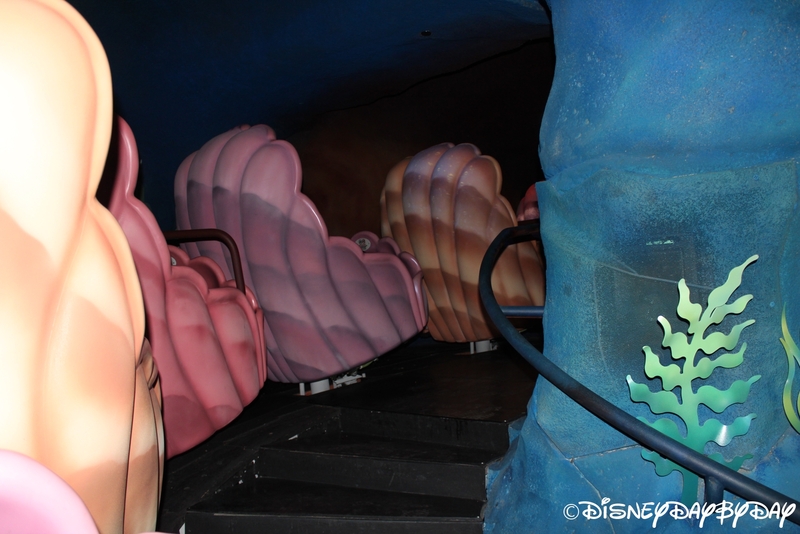 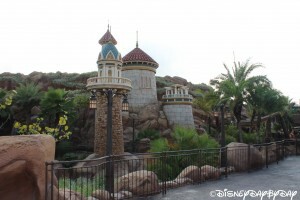 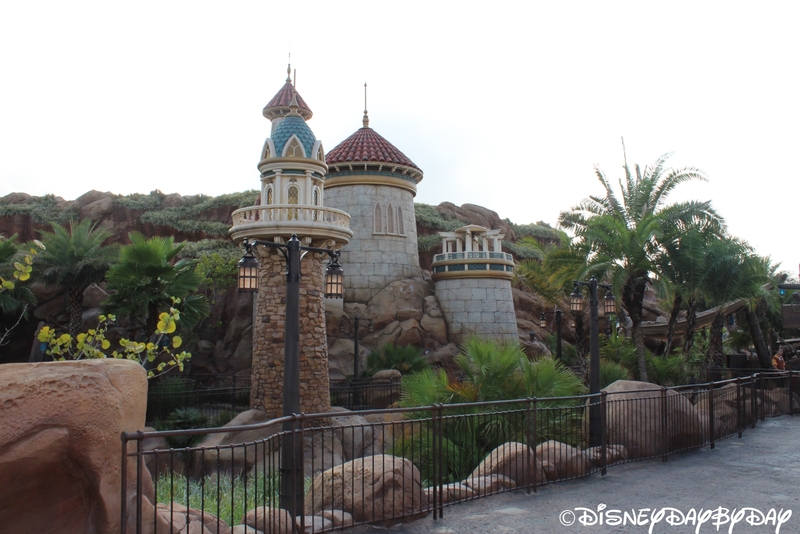 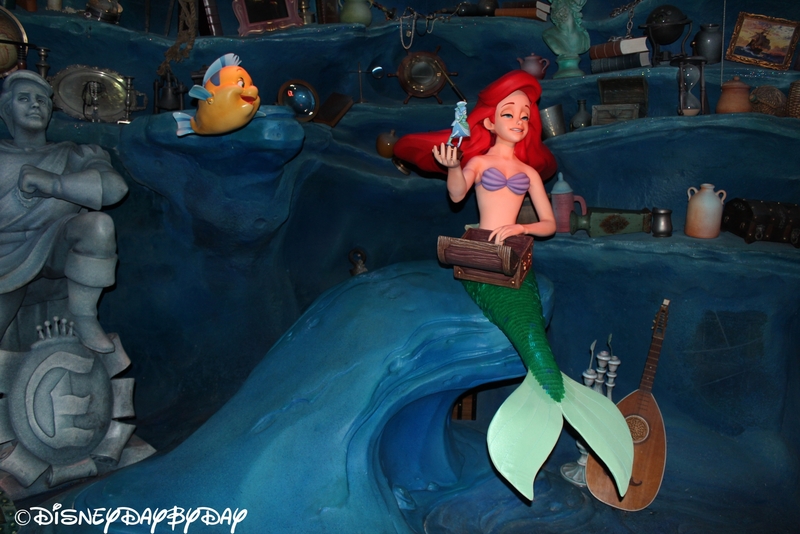 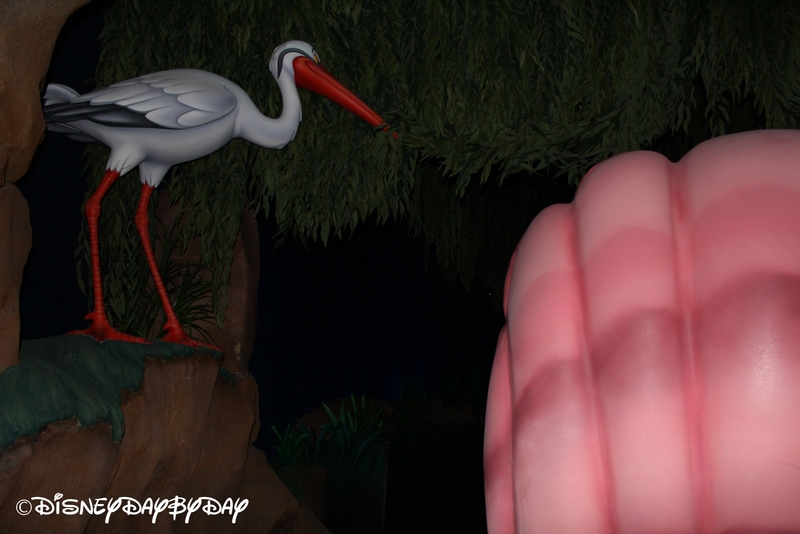 This is a must ride for all Little Mermaid fans.